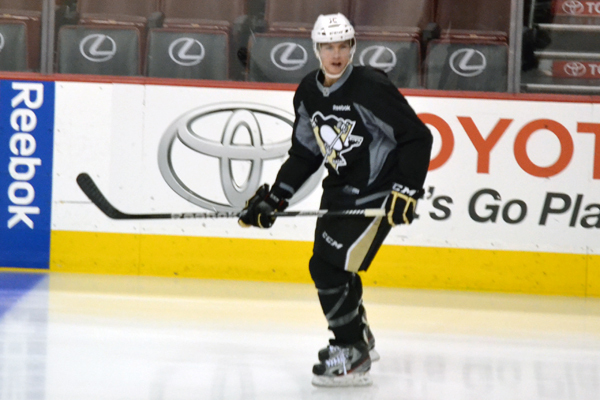 Head coach Dan Bylsma said that tonight's lineup will be a game-time decision. Marc-Andre Fleury will be the starting goaltender. Simon Despres left the morning skate with "a small injury to his fingernail." He didn't come back out because the skate was over once the nail had been treated. 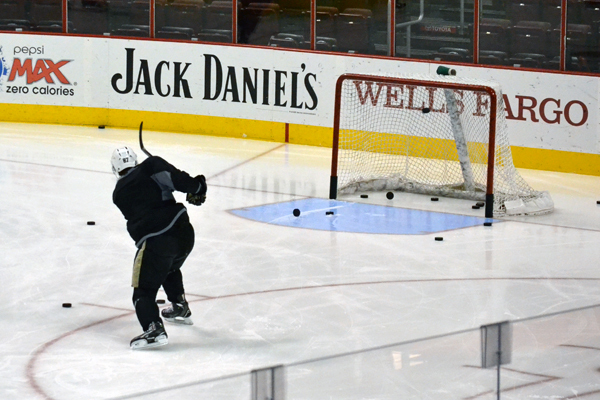 Paul Martin skated on a D-pair with Brooks Orpik, and also worked with the second power-play unit. Those are good signs that he will be in the lineup tonight against the Flyers, although nothing is official. We'll have to wait for confirmation from coach Bylsma. In February, three of the top seven (and four of the top 15) selling jerseys in the NHL were Penguins. Sidney Crosby (No. 3), Evgeni Malkin (No. 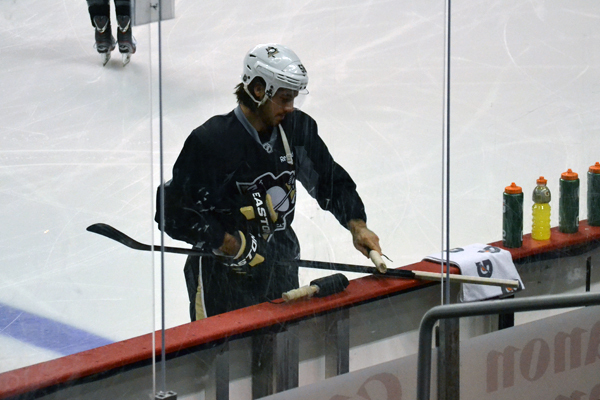 6) and James Neal (No. 7) round out the top seven. 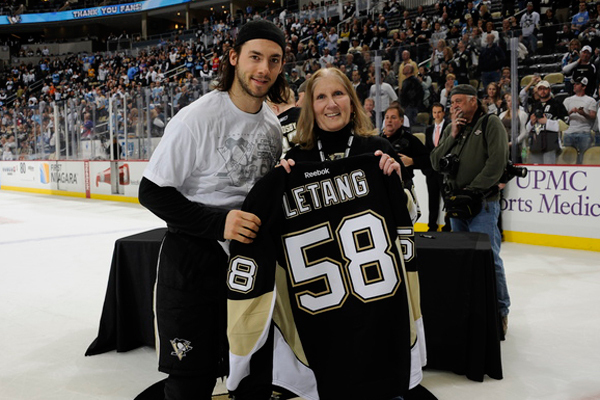 Kris Letang's jersey ranked 15th (higher than Alex Ovechkin and Steven Stamkos). Another dominant player for the Flyers has been Wayne Simmonds, playing right wing on the second line with Danny Briere and Brayden Schenn. Simmonds has points in seven of his last eight games and has scored the game-winner in each of Philly’s last three wins. Simmonds and Voracek are tied for the team lead in goals (10) and power-play goals (5). Philly’s power play is operating at a 22.2-percent clip, which ranks sixth in the league. But right now the Flyers are seeing more shorthanded time as they're the NHL’s most penalized team, totaling 149 for an average of 17.2 a game. They and the Penguins combined for 19 penalties in their last meeting. The Flyers did a marvelous job of agitating the Penguins and getting them off their game, sucking them into scrums and post-whistle skirmishes. Players like Hartnell, Zac Rinaldo and Sean Couturier are expert at extracurriculars, while big winger Simmonds is a consistent net-front presence is always willing to drop the gloves. Getting involved and retaliating back is something the Penguins said they have to figure out how to avoid. The Pens will hit the halfway point in the season after tonight's 7 p.m. matchup with cross-state rival Philadelphia. It's hard to believe the season is almost over. Seems like yesterday the Pens were in Philly for Game 1 of the season. 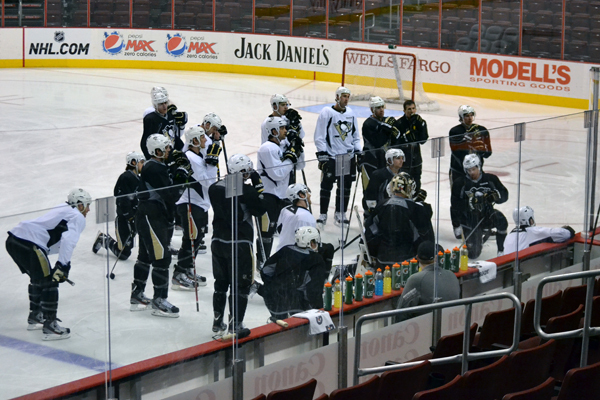 Pittsburgh will be on the ice at 11:30 a.m. at Wells Fargo Center for their morning skate. 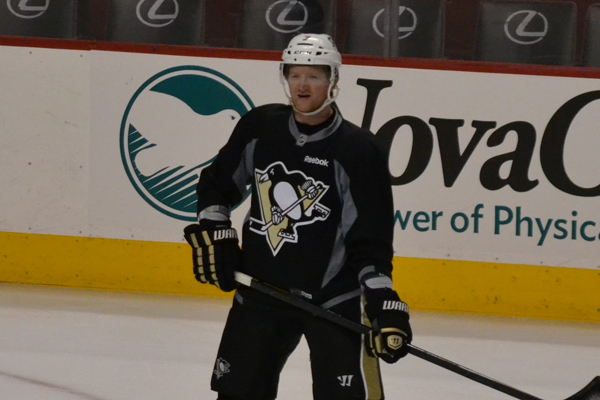 One player to keep an eye is defenseman Paul Martin. He's missed the team's last two games with a lower-body injury. He returned to team practice on Tuesday, but his status for tonight is unknown yet. Stay tuned throughout the day for updates on tonight's lineup and developing information. One thing about Philadelphia, it's always sunny here. Except for last night when it was cold and raining.